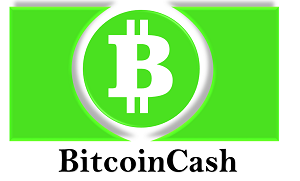 Bitcoin Cash is peer-to-peer electronic cash for the Internet. It is fully decentralized, with no central bank, and do not require any trusted third parties to operate. Bitcoin Cash is a cryptocurrency developed from a hard fork of the Bitcoin network. It came in existence from the mid of 2017. Bitcoin Cash is different from Bitcoin. It is the upgraded version of the bitcoin core software. It is faster, cheaper and more reliable to use. It increases the block size of Bitcoin from 1 MB to 8 MB and allowing for around two million transactions to be processed per day. How Bitcoin Cash came in existence? The Bitcoin blockchain is a constantly updated ledger, and all transactions that take place on the Bitcoin Network are listed there. In the bitcoin network, the first transaction block took place in January 2009, and each new blocks are added to this Bitcoin blockchain approximately every 10 minutes. The Bitcoin protocol ensures that every single block that gets added to the blockchain is valid and conforms to the rules of Bitcoin. Furthermore, each block that is added in the blockchain contains a cryptographic hash of the previous block. On August 1st, 2017, at block number 478,558, there was a split. The ViaBTC pool produced a 1.9 MB block which is not valid on the legacy Bitcoin network because Bitcoin has a 1 MB limit. This new block did not have the 1 MB limit, and instead, it included 1.9 MB. This caused a split which resulted in the creation of Bitcoin Cash. The computers that are mining Bitcoin Cash have a protocol that limits the block size at 8 MB rather than 1 MB. A fork takes place when a blockchain splits into two different paths forward. In the case of bitcoin hard fork, to make transaction speeds faster on the network, one group(miners) within the bitcoin community wanted to increase the size of blocks on the bitcoin blockchain. As a result, the bitcoin blockchain may split into two different versions, resulting in two different chains with a separate coin in each one which given birth of Bitcoin Cash. As you can see in this diagram, there is a split that takes place on the network and essentially creates a new Blockchain with altered rules. The original and the forked version of the cryptocurrency have identical Blockchains all the way up to the block when the split occurred. After the split happened, everyone who held Bitcoins before the hard fork received the same amount of Bitcoin Cash tokens. What differs Bitcoin Cash from other Cryptocurrencies? Bitcoin Cash is based on the Bitcoin original source code with the difference of bigger blocks (8MB) size. In contrast to Bitcoin, bitcoin cash does not focus on becoming a store of value. Instead, its main aims are to be used for digital payments only.